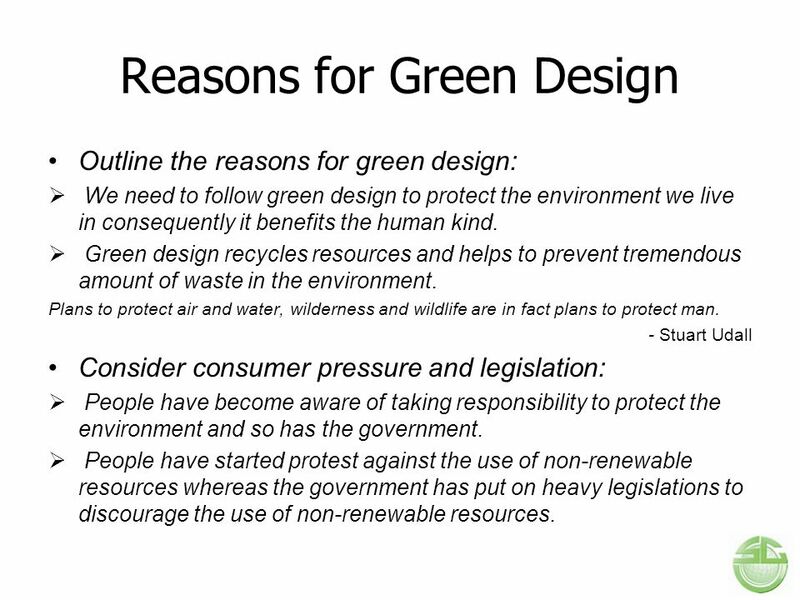 Outline the reasons for green design: We need to follow green design to protect the environment we live in consequently it benefits the human kind. 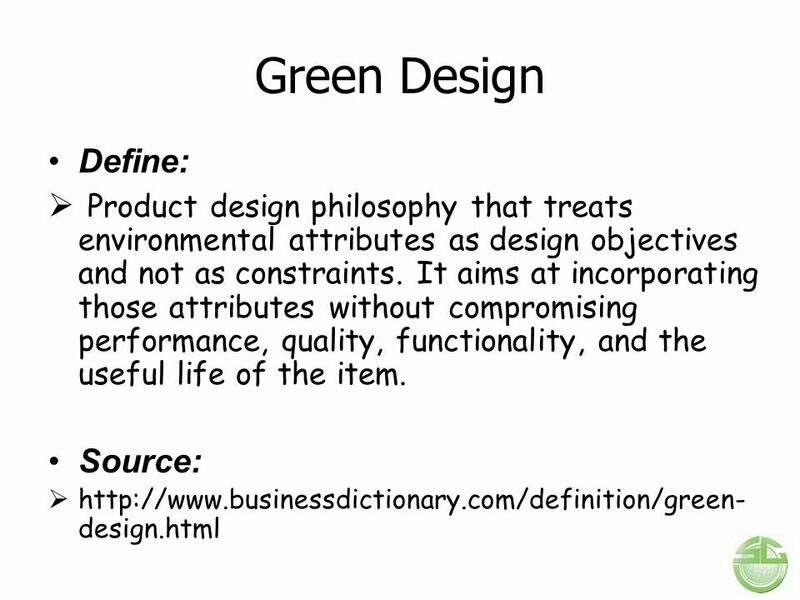 Green design recycles resources and helps to prevent tremendous amount of waste in the environment. Plans to protect air and water, wilderness and wildlife are in fact plans to protect man. - Stuart Udall Consider consumer pressure and legislation: People have become aware of taking responsibility to protect the environment and so has the government. 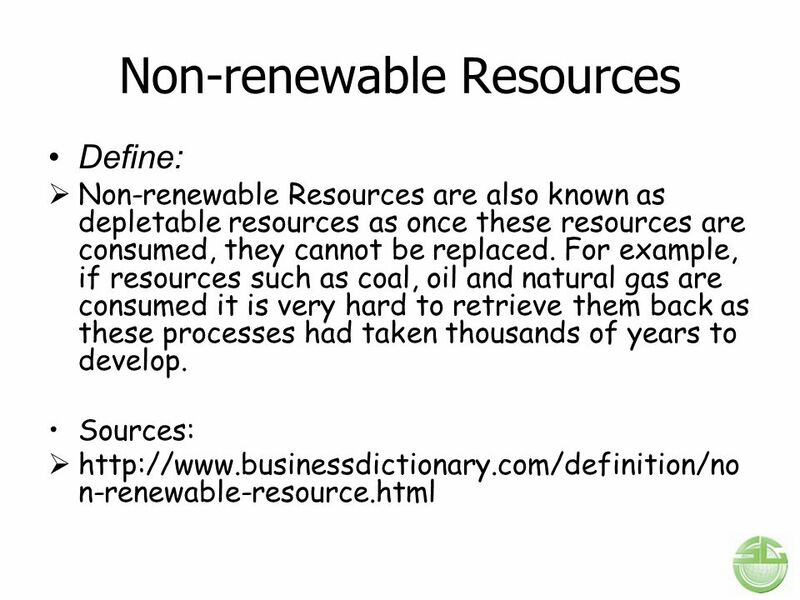 People have started protest against the use of non-renewable resources whereas the government has put on heavy legislations to discourage the use of non-renewable resources. 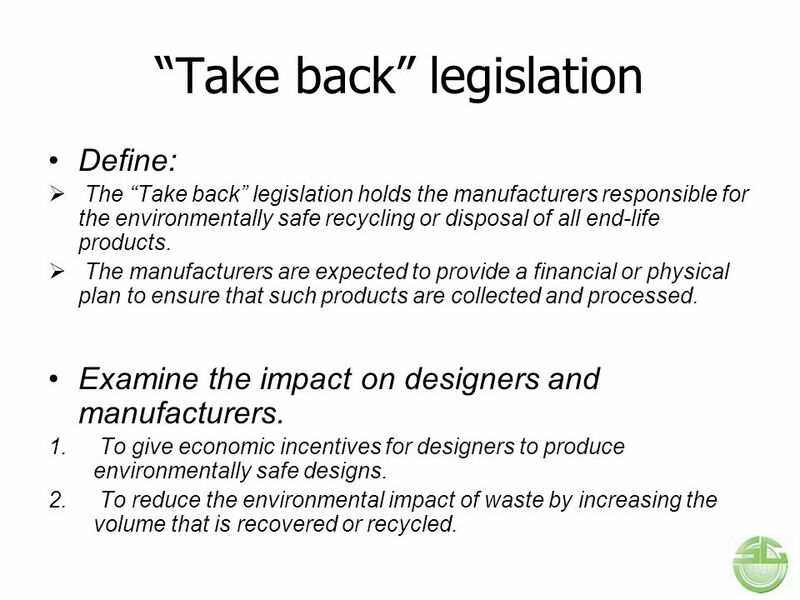 Define: The “Take back” legislation holds the manufacturers responsible for the environmentally safe recycling or disposal of all end-life products. The manufacturers are expected to provide a financial or physical plan to ensure that such products are collected and processed. 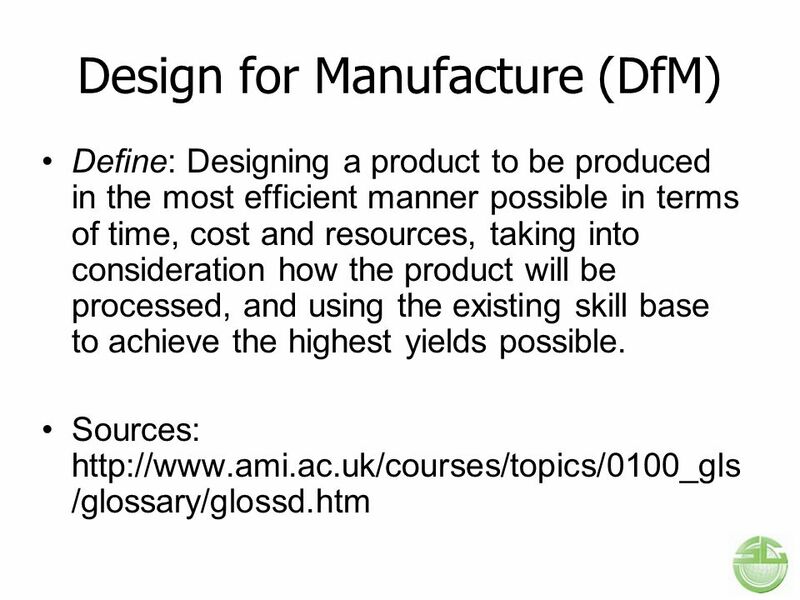 Examine the impact on designers and manufacturers. 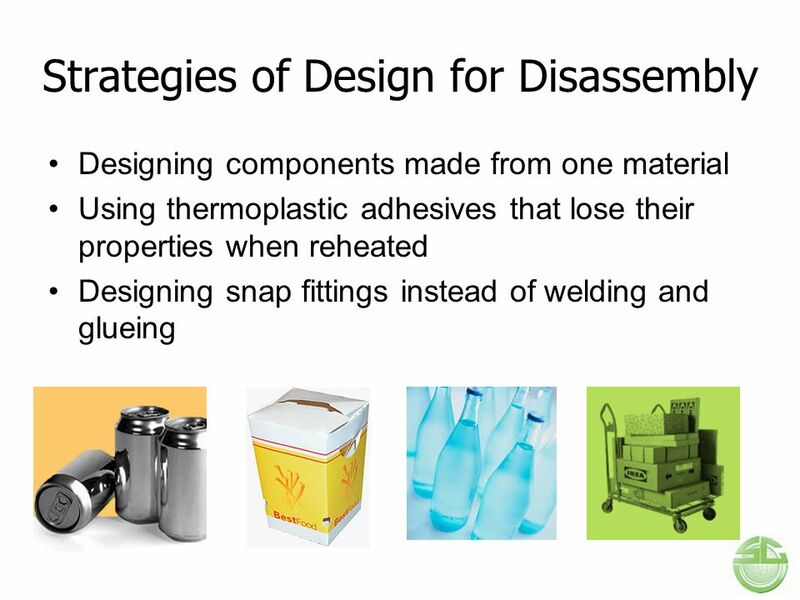 To give economic incentives for designers to produce environmentally safe designs. To reduce the environmental impact of waste by increasing the volume that is recovered or recycled. 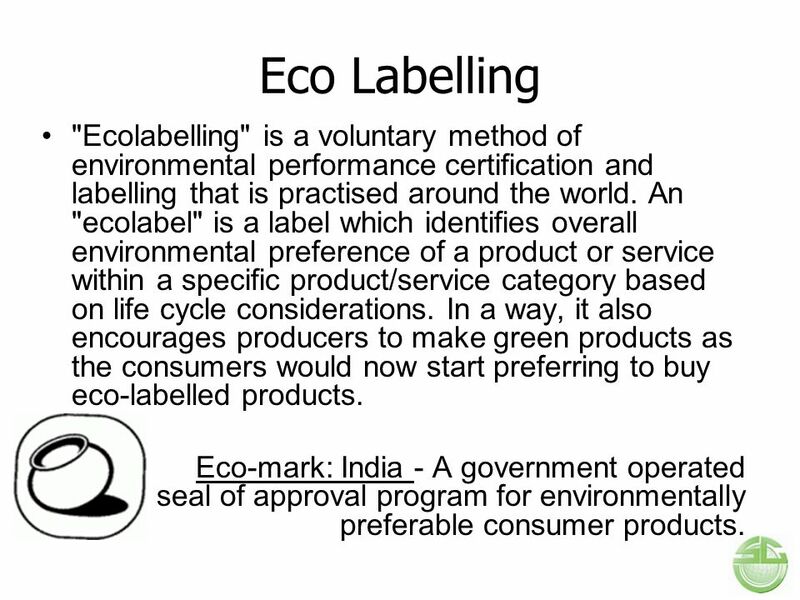 11 Eco Labelling "Ecolabelling" is a voluntary method of environmental performance certification and labelling that is practised around the world. 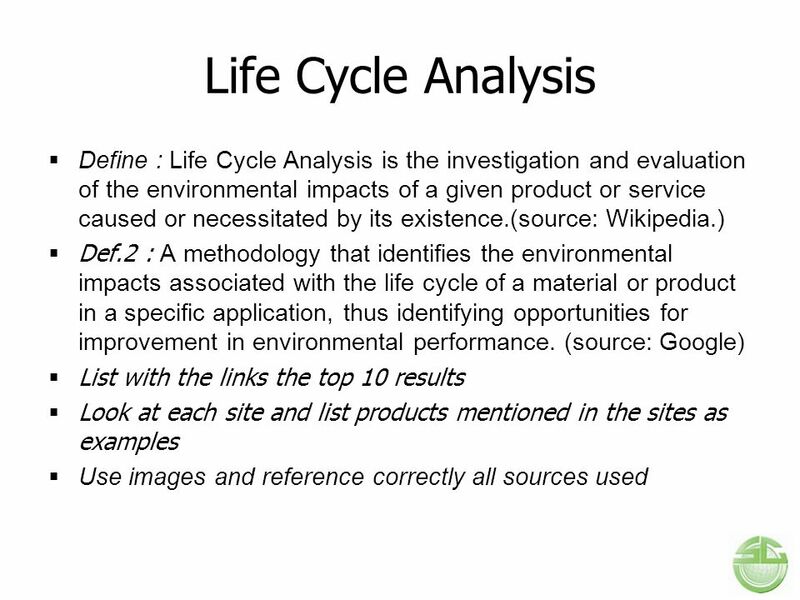 An "ecolabel" is a label which identifies overall environmental preference of a product or service within a specific product/service category based on life cycle considerations. In a way, it also encourages producers to make green products as the consumers would now start preferring to buy eco-labelled products. 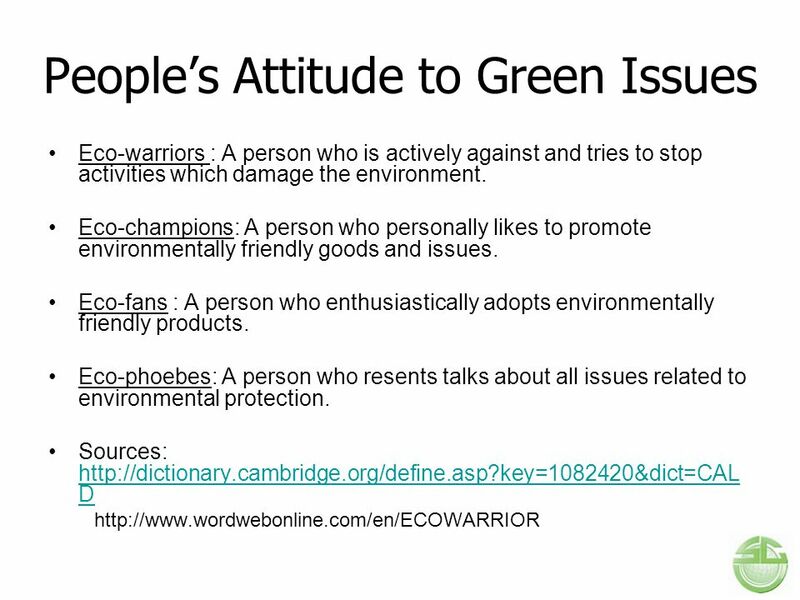 Eco-mark: India - A government operated seal of approval program for environmentally preferable consumer products. EU Ecolabel: A voluntary scheme designed to encourage businesses to market products and services that are kinder to the environment and for European consumers - including public and private purchasers - to easily identify them. Green Seal: Green Seal certified products meet science-based environmental certification standards that are credible and transparent. 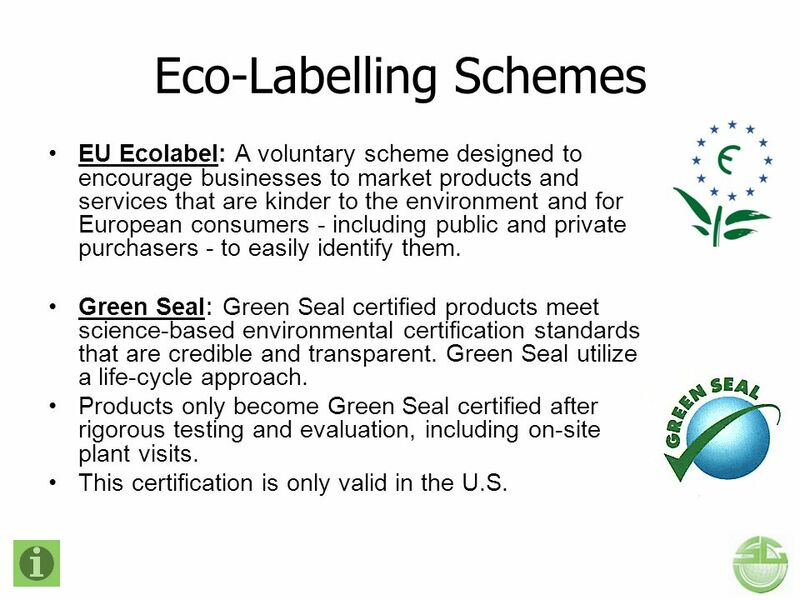 Green Seal utilize a life-cycle approach. Products only become Green Seal certified after rigorous testing and evaluation, including on-site plant visits. 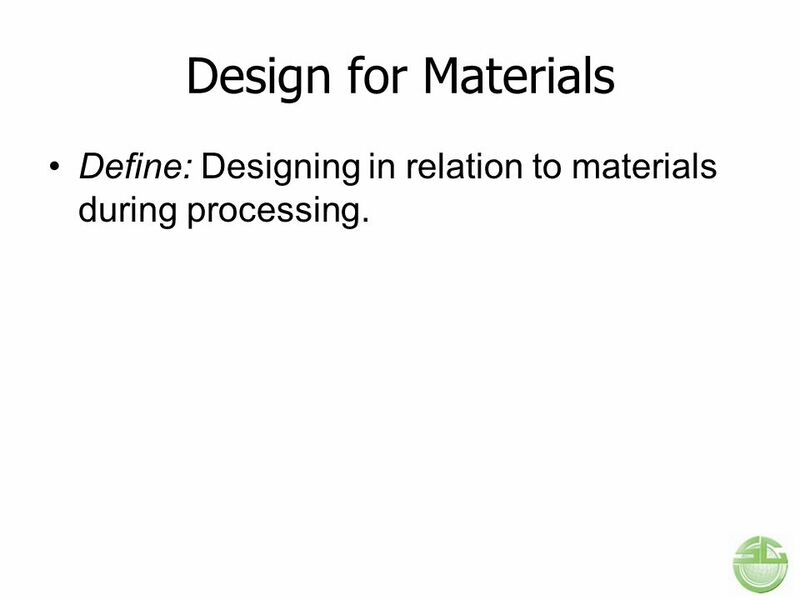 This certification is only valid in the U.S.
14 Design for Materials Define: Designing in relation to materials during processing. 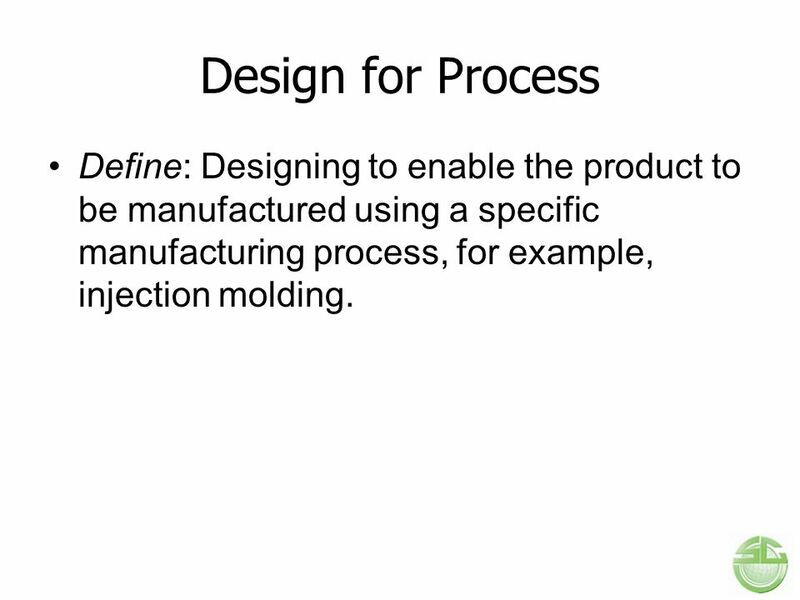 15 Design for Process Define: Designing to enable the product to be manufactured using a specific manufacturing process, for example, injection molding. 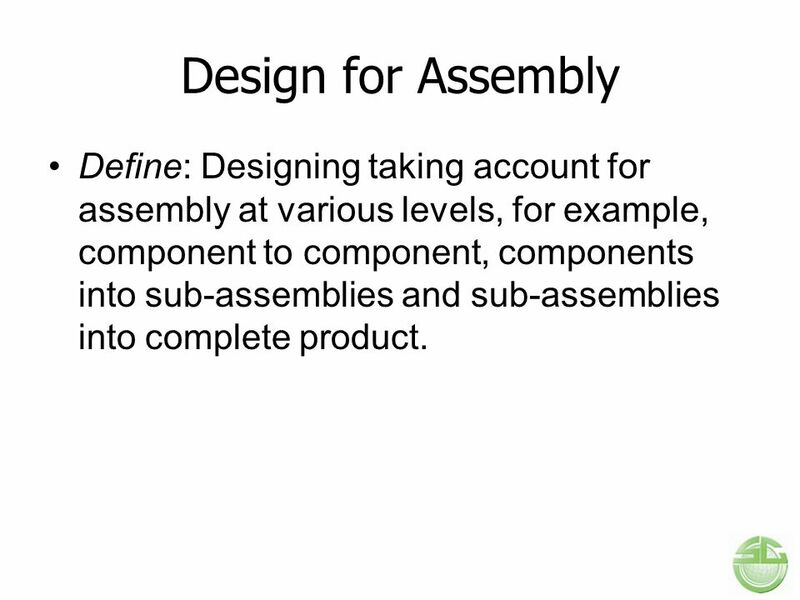 16 Design for Assembly Define: Designing taking account for assembly at various levels, for example, component to component, components into sub-assemblies and sub-assemblies into complete product. 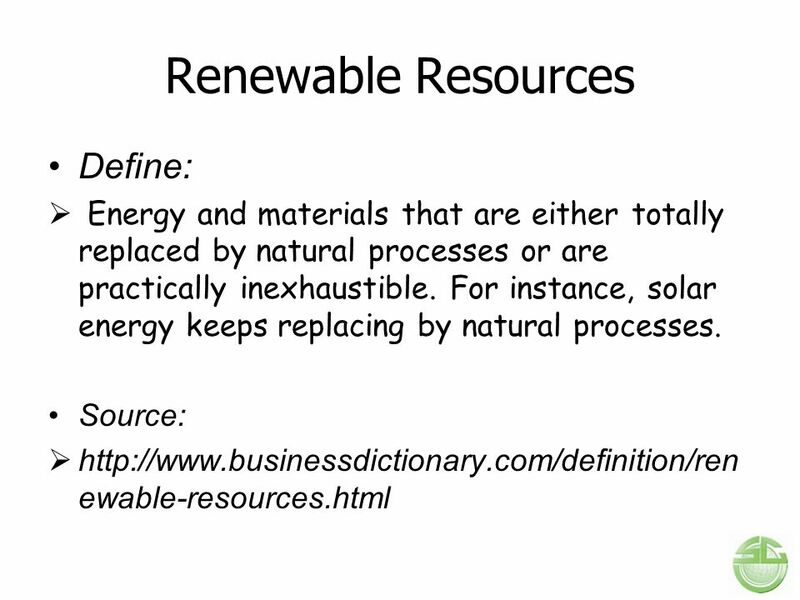 Reuse: To use again, especially after salvaging or special treatment or processing. Repair: To restore to sound condition after damage or injury. 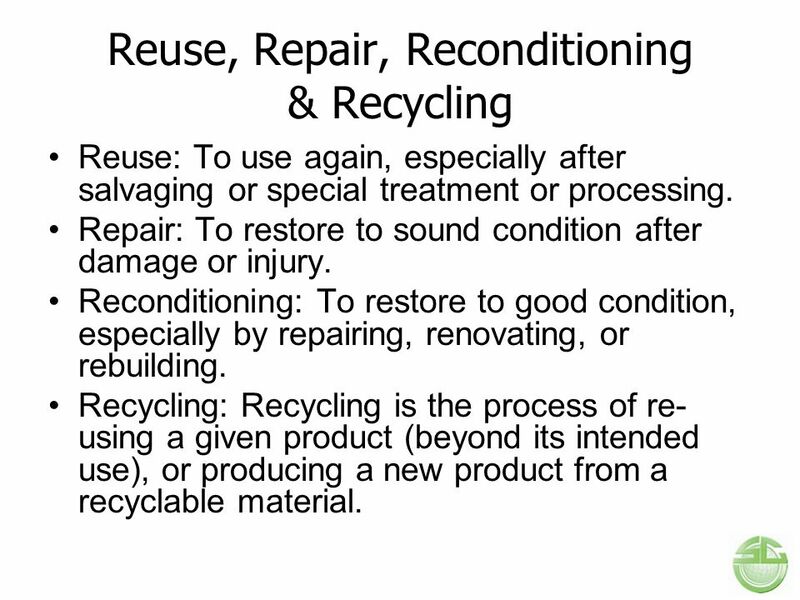 Reconditioning: To restore to good condition, especially by repairing, renovating, or rebuilding. 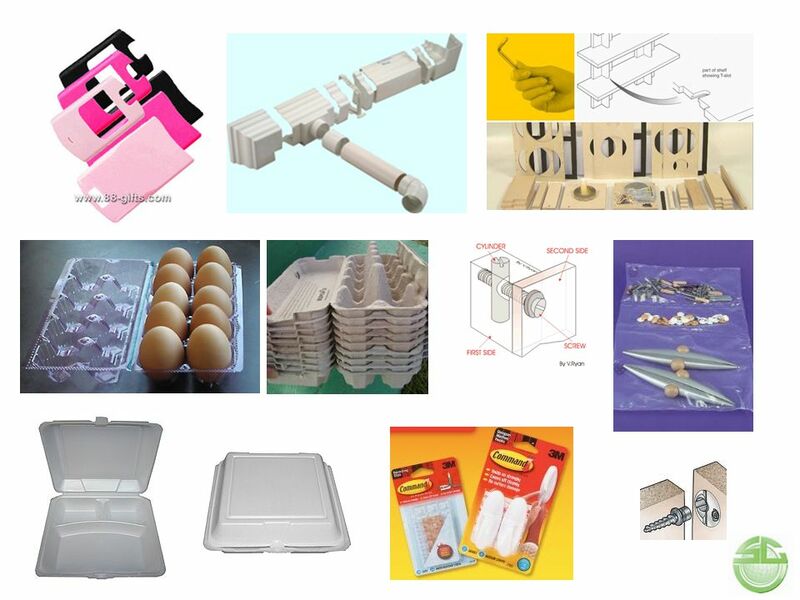 Recycling: Recycling is the process of re-using a given product (beyond its intended use), or producing a new product from a recyclable material. 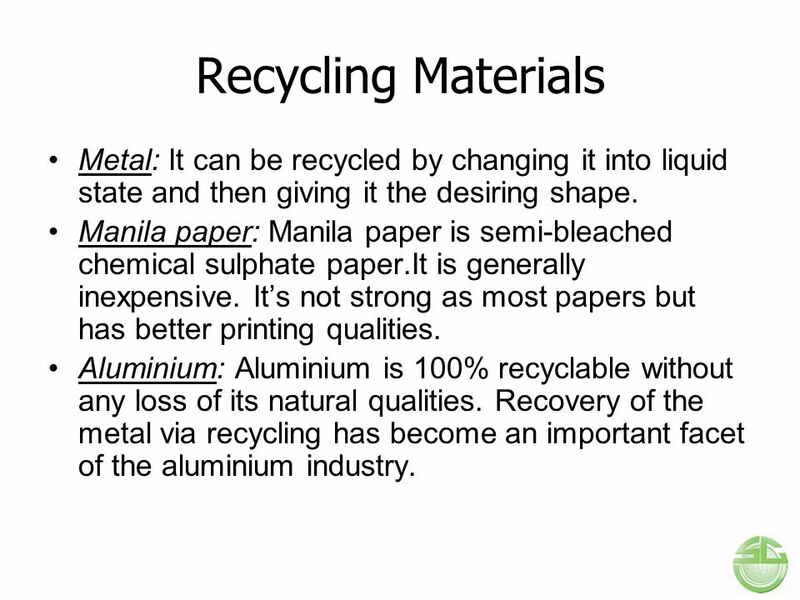 19 Recycling Materials Metal: It can be recycled by changing it into liquid state and then giving it the desiring shape. Manila paper: Manila paper is semi-bleached chemical sulphate paper.It is generally inexpensive. It’s not strong as most papers but has better printing qualities. Aluminium: Aluminium is 100% recyclable without any loss of its natural qualities. Recovery of the metal via recycling has become an important facet of the aluminium industry. 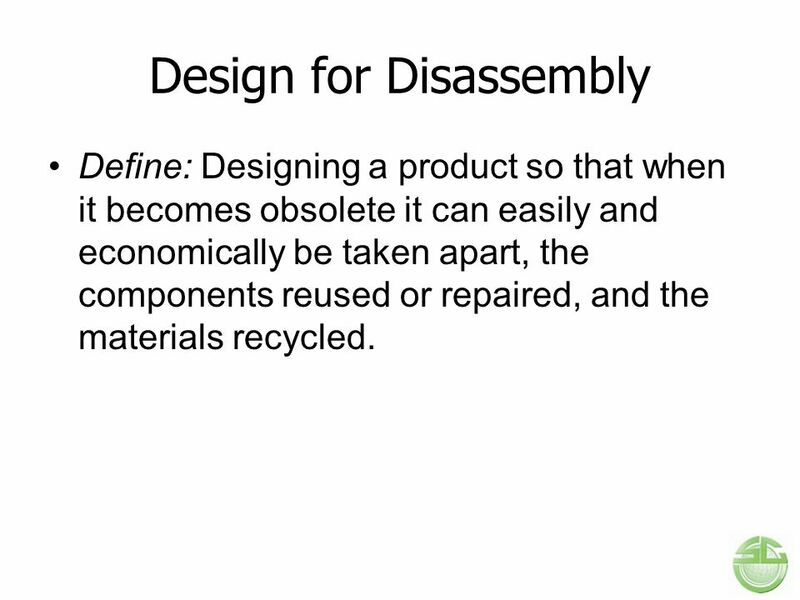 Define: Designing a product so that when it becomes obsolete it can easily and economically be taken apart, the components reused or repaired, and the materials recycled. 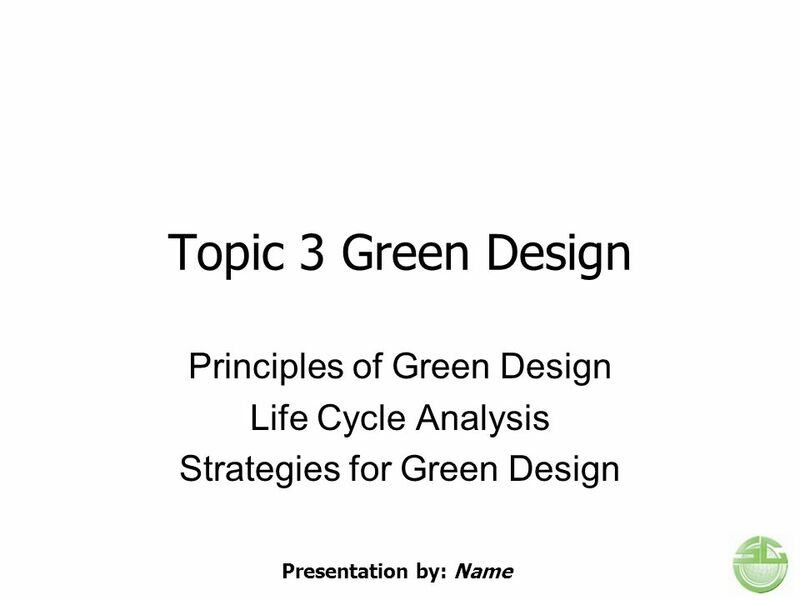 Download ppt "Topic 3 Green Design Principles of Green Design Life Cycle Analysis"
Be ecofabulous To propagate and serve the cause of environment protection through technology and efficient management of resources. EU SCP/SIP Action Plan Regulatory update and insight European Economic and Social Committee Hearing, 10 December 2008, Bettina Lorz DG Environment, European. Responsible Care and its relation to Global Product Strategy. 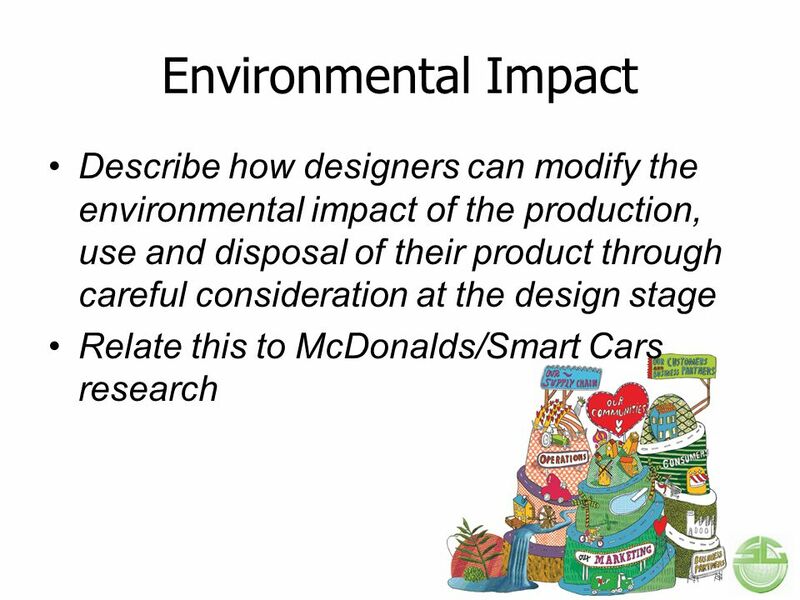 11 Designing for Sustainability Chapter Permission granted to reproduce for educational use only.© Goodheart-Willcox Co., Inc. 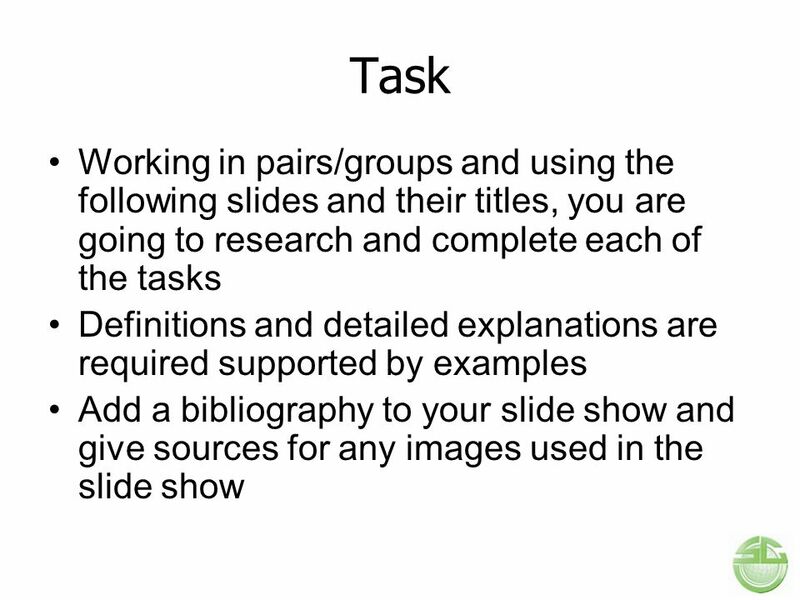 Objectives Explain the. The development and diffusion of environmentally friendly technologies. Sustainability: What Does It Mean for Mechanical Engineers? Planning for LEED ® Leadership in Energy and Environmental Design LEED and related logo is a trademark owned by the U.S. Green Building Council and is. CIRCULARITY ASSESSMENT OF COMPANIES. Why do we need a circularity assessment? Moving to a circular economy is increasingly recognized as a key objective. L5: GP TECHNIQUES / 1 Asian Productivity Organization, Tokyo Organization of the GP Techniques. 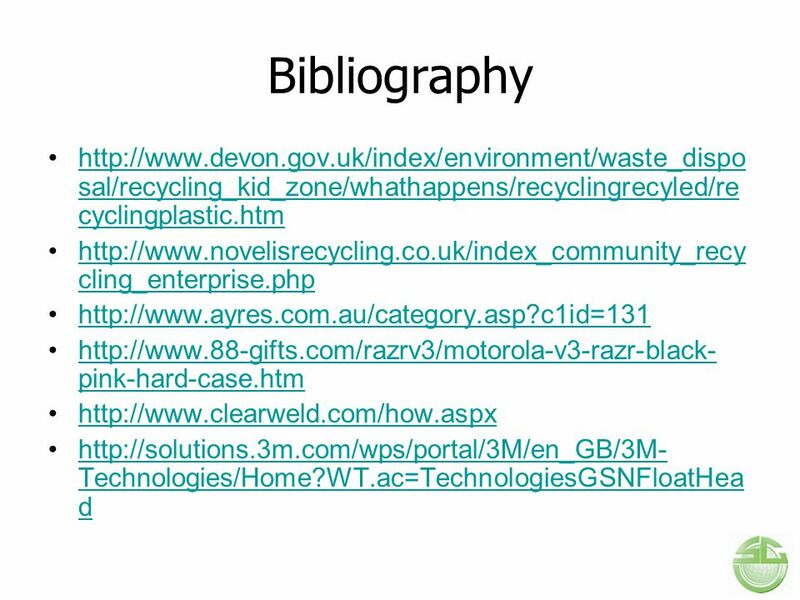 Skip instructions and start Go through instructions (recommended) Rethink waste: profit through resource efficiency Module 1 – Data Collection With support. Promoting Water & Energy Use Efficiency in the Lebanese Industry March 21, 2014 Rana Tabcharani Saliba Head of Environment & Energy Department Project. 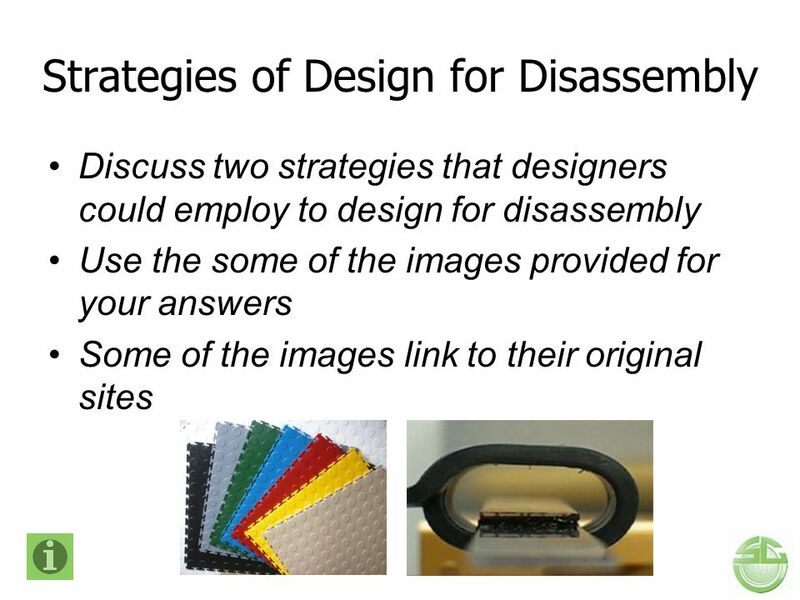 Design for the Environment Felicia Kaminsky ESM 595F 2 November 2000. 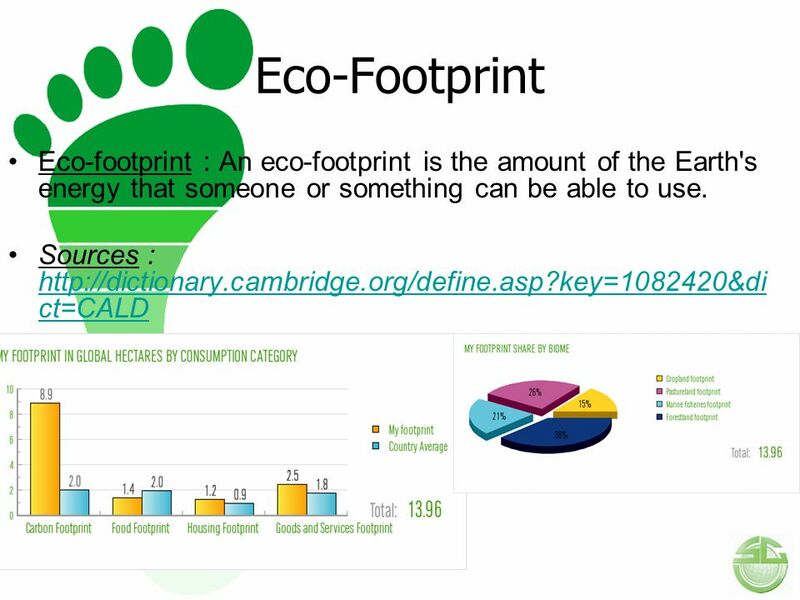 CHAPTER 4 ENVIRONMENTAL ECONOMICS AND CONSUMPTION WALL TO WALL, CRADLE TO CRADLE CHAPTER 4 ENVIRONMENTAL ECONOMICS AND CONSUMPTION WALL TO WALL, CRADLE. Nordic Approaches and Tools in Green Planning Inge Aarhus Petrozovodsk June 14th 2012 Lillehammer miljø Environment Lillehammer. Sustainability in the Supply Chain 5 © 2014 Pearson Education, Inc. SUPPLEMENT.